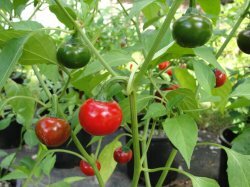 The cascabel chili (little bell), also known as the rattle chili, is one of the Mirasol cultivars of the species Capsicum annuum. The rattle and bell designations describe the tendency of loose seeds to rattle inside a dried cascabel when shaken. Fresh cascabel, which is 2-3 cm in diameter, is also known by the alias bola chili or chile bola (Spanish: ball chili). 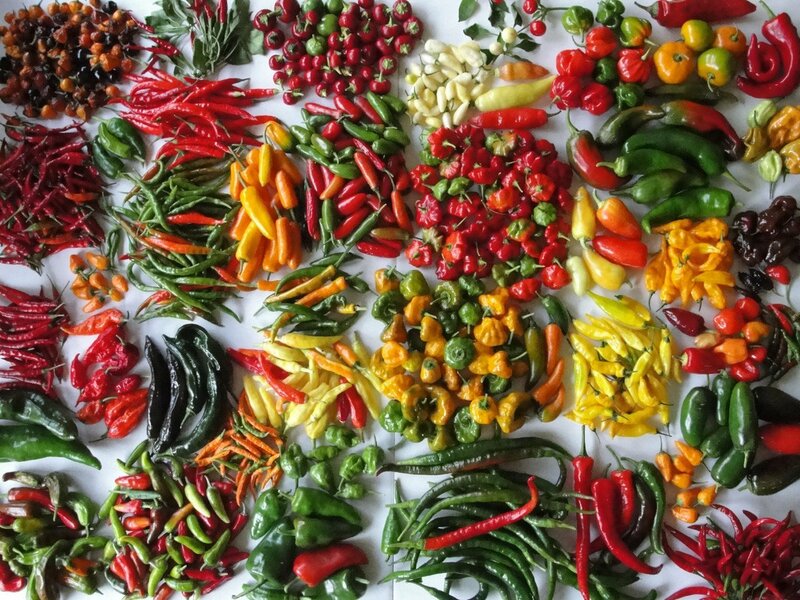 The pigmentation of the fresh chilis blends from green to red; when dried, the color darkens.